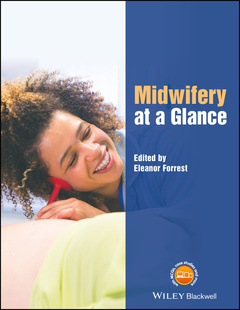 Midwifery at a Glance offers an easy-to-read yet comprehensive overview of everything a midwifery student needs to know, from conception to care of the newborn. This practical guide provides coverage of normal pregnancy, maternal and foetal physiology, and pre-existing medical conditions and how these affect pregnancy and birth. It also features vital information on the role of the midwife, evidence-based practice, health promotion education, and perinatal mental health, as well as neonatal care and an overview of emergency situations. Midwifery at a Glance is the ideal guide, offering educational support for midwifery students in the application of midwifery knowledge into clinical practice.